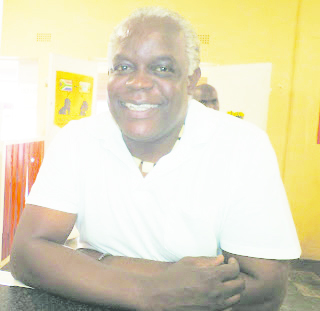 BEITBRIDGE - A practicing lawyer and former magistrate, Jabulani Mzinyathi is forming an educational trust to fund bright students from Beitbridge with fees and other needs for their education. Mzinyathi’s experiences as a magistrate of the maintenance court has had a big influence on the project. He says that he was disheartened to see a woman claiming a mere $50 for maintenance of a child but the man would offer $20 or even $10 instead. He said the thrust of the trust is to empower the girl child. Mzinyathi told The Mirror in an in interview that he plans to see the trust expanding its services beyond Beitbridge District. He said that the Trust will be jointly sponsored with partners he has identified in the diaspora. “I have friends from abroad who expressed interest in running an educational trust together with me. I hope they will honour their pledge and come on board. This educational trust must be accountable and there should be good governance to the extent that every cent donated is accounted for. Mzinyathi is already sponsoring some children in Beitbridge with their education needs. He has started a scheme together with his family called Adopt A Girl Child. “We are spending quiet a fortune on luxuries like alcohol for instance yet it costs $40 or less to pay a child’s school fees. We should not be dependent on donors from foreign lands. We need to do some serious introspection, we need to liberate ourselves,” said Mzinyathi. The three children that he is sponsoring are Mbudzeni Shoko, a Form 2 student at Chamunanga Secondary, Rutendo Chanaka doing Grade 3 and Progress Mujerea doing Grade 6 at St Joseph’s Primary School. “To educate a woman is to educate the nation, women are our first teachers, an educated mother usually passes on the same trend,” said Mzinyathi. “You know that in life women suffer most. When I was a magistrate, I would see a woman coming to court to claim a mere $50 in maintenance but the guy will offer $20 or even $10,” said Mzinyathi.